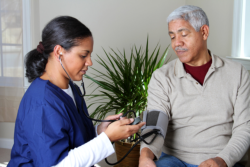 Home care services at At Talitha Cumi Home Care, Inc. are consumer-directed. This means that YOU have the control over the level of care and assistance that you get from us. Our agency is approved to provide services through Medicaid Waiver and Long Term Care Diversion Program. If you are interested to know about mentioned programs and eligibility our staff can assist you with information and application process. To receive guidance in selecting a care program, please set an appointment.